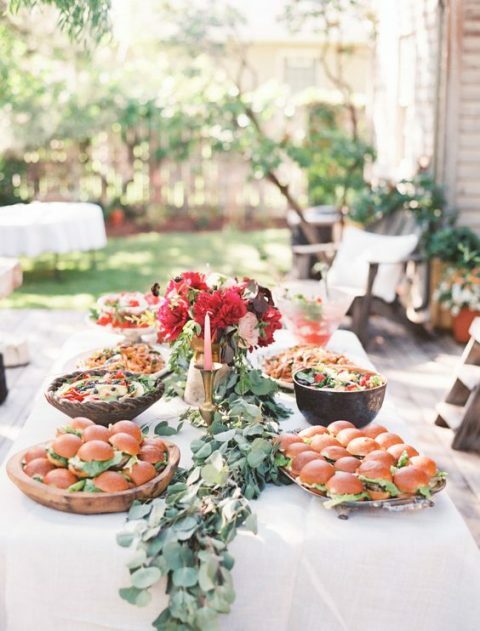 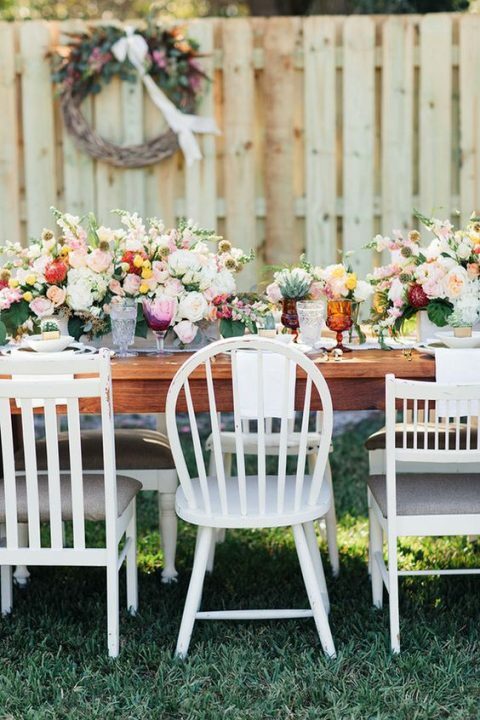 A backyard is a cool place to set up a bridal shower, a rehearsal dinner or even a wedding: everyone feels relaxed and comfortable at the same time. 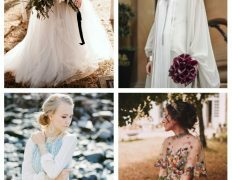 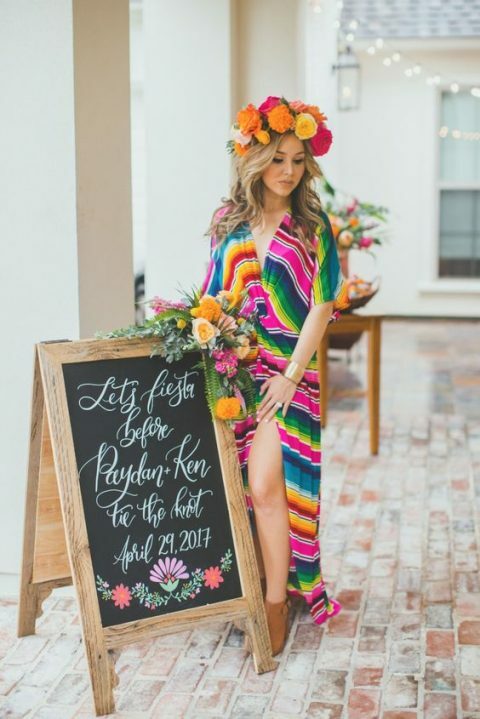 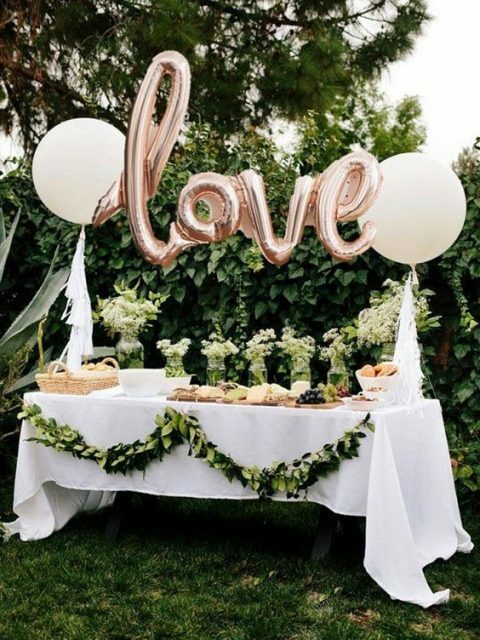 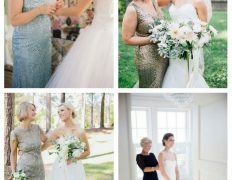 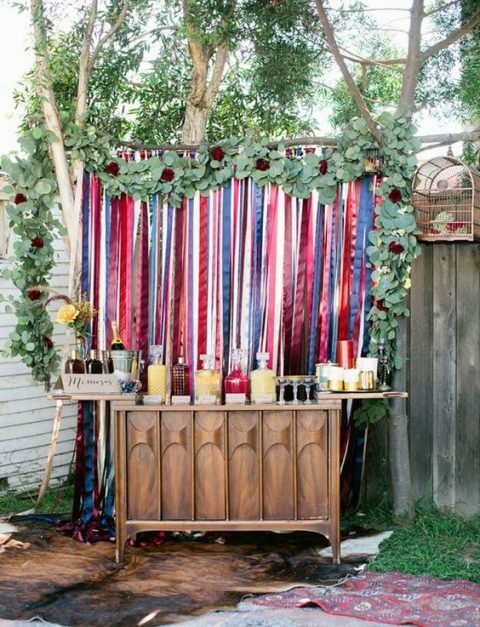 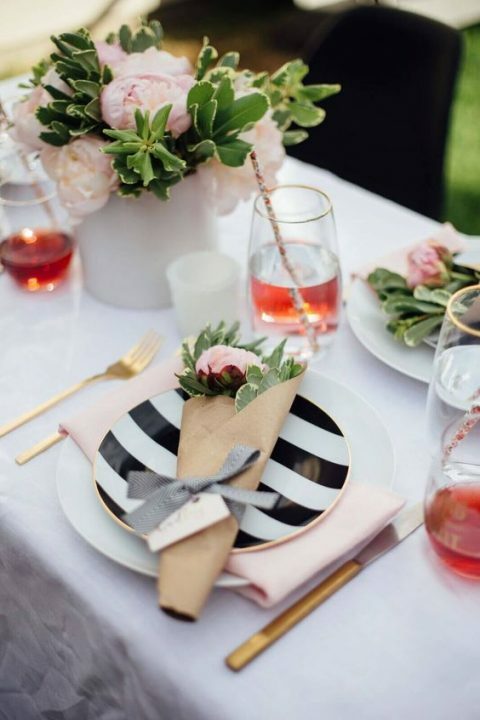 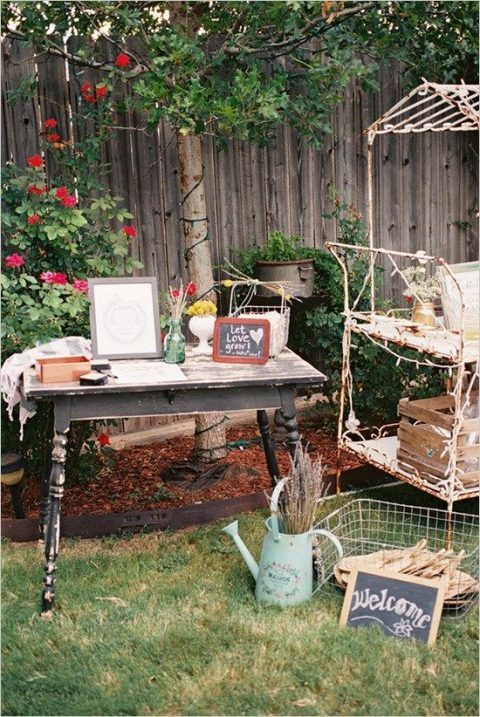 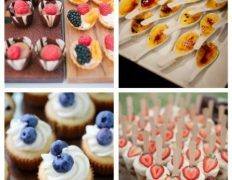 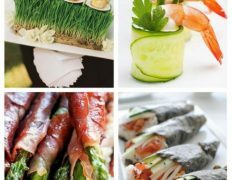 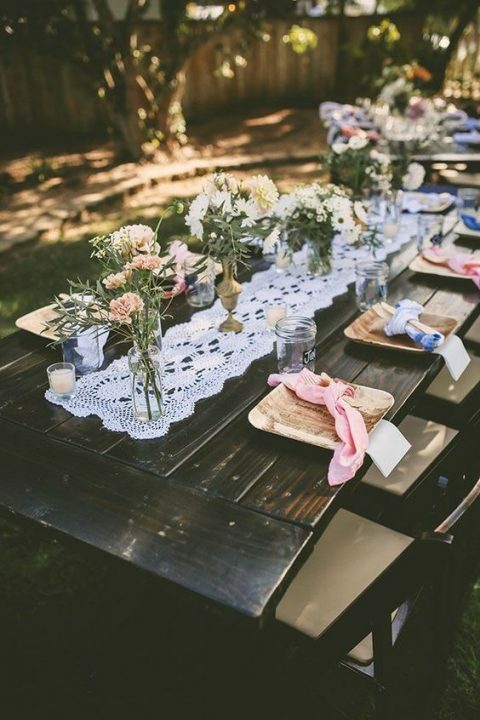 If you’ve chosen a backyard bridal shower and puzzling over how to organize it, we have some ideas and examples for you, take a look. 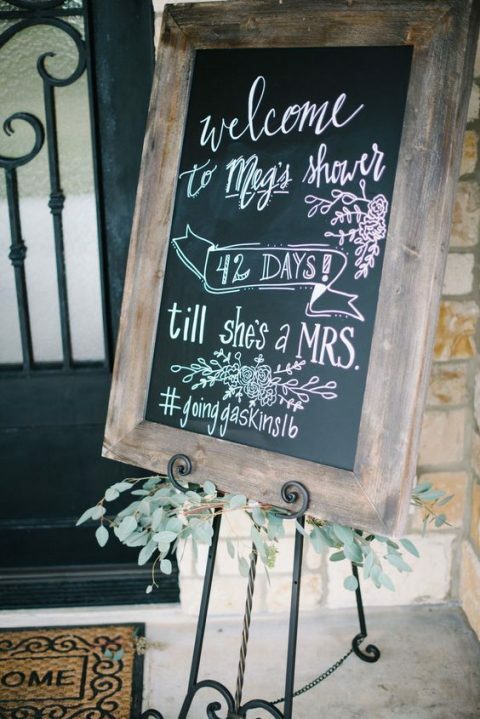 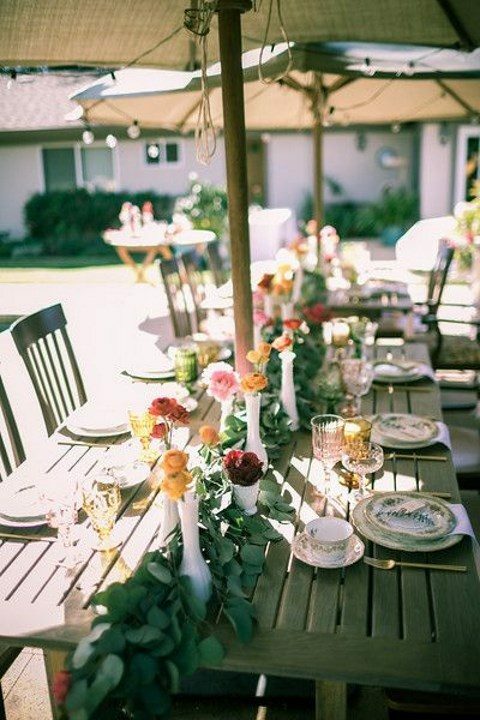 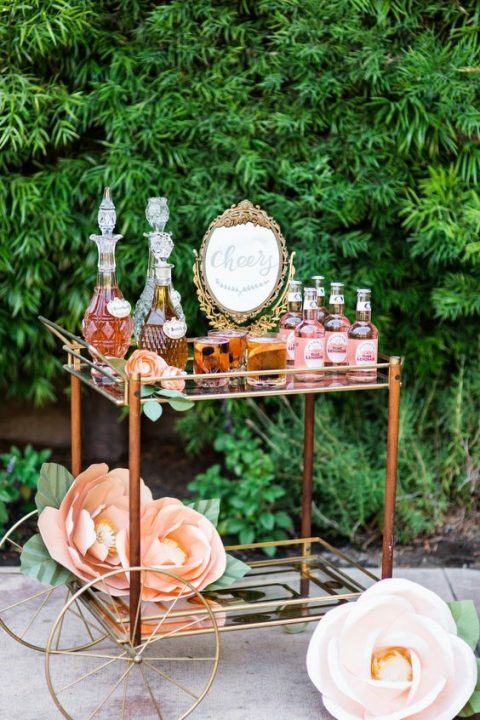 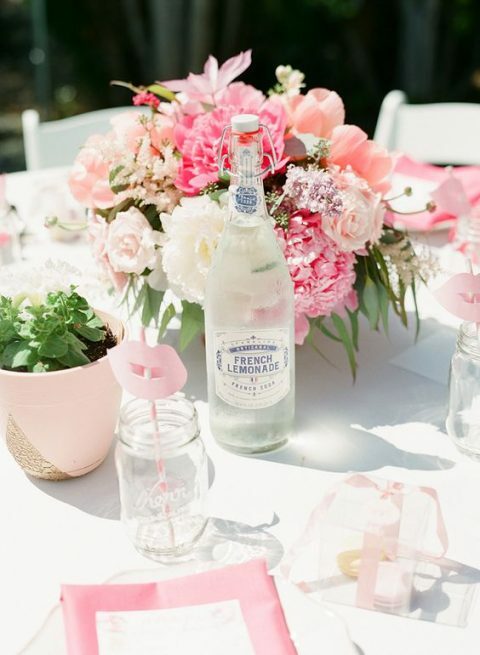 If you are hosting a bridal shower outdoors in spring or summer, avoid the hottest time of the day. 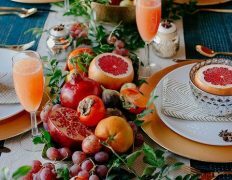 If temperatures usually soar at 3:00 p.m. in the area, start the party at noon and end by 3:00 p.m. or have an early evening cocktail party instead. 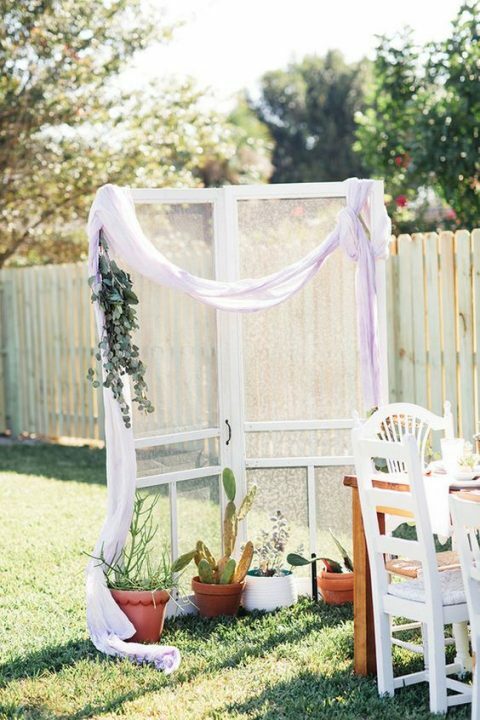 Rain happens and so do unusually chilly temperatures, so making a backup plan is crucial. 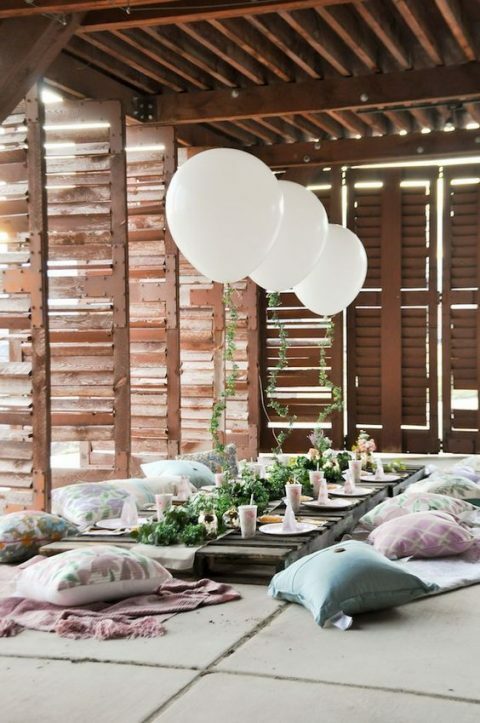 You could put up a tent but if your budget screams “no” or you can’t borrow one, plan to bring the outdoors inside. 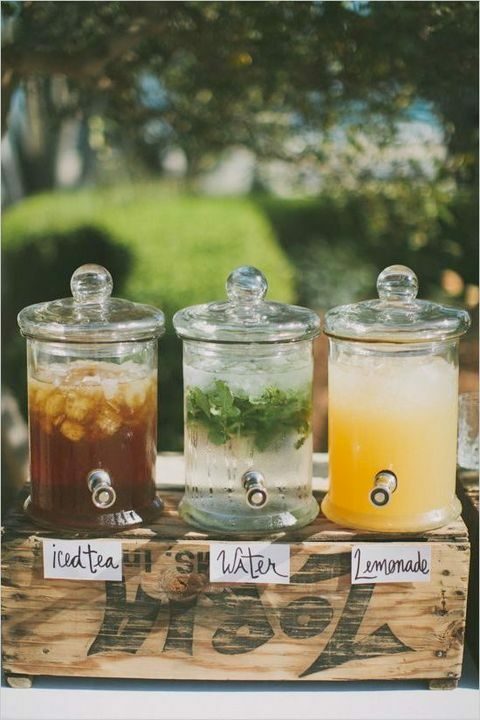 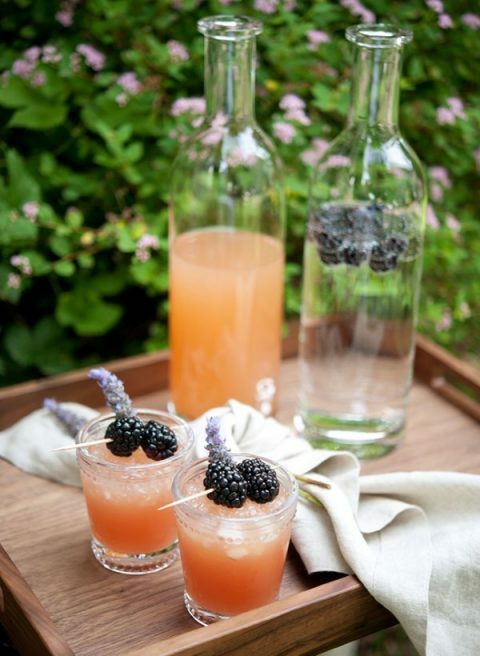 Use the same decorations and serve the same menu, including summery cocktails. 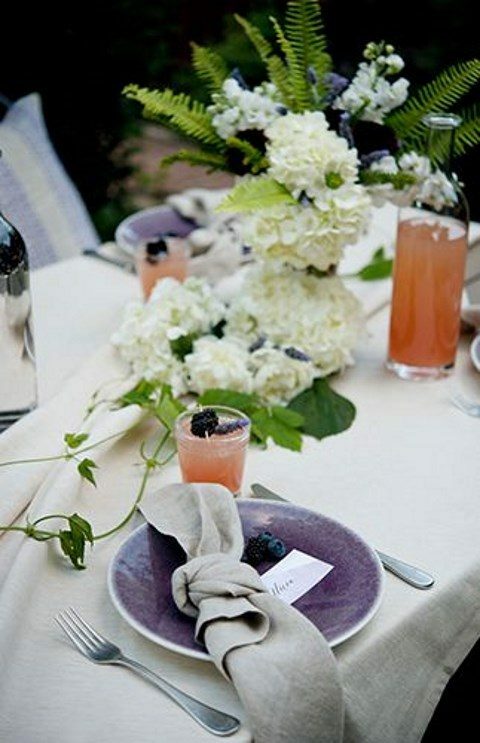 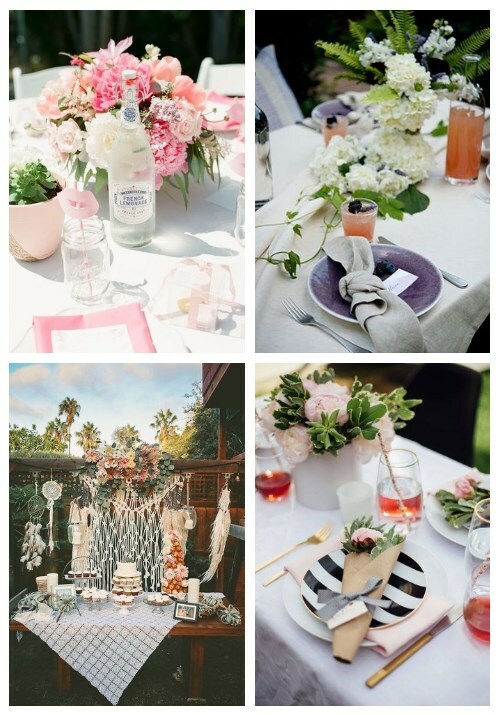 Choose a decor theme close to the bride’s heart or go with something classic, like a garden party vibe. 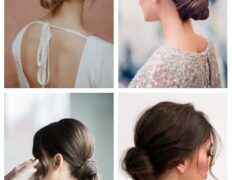 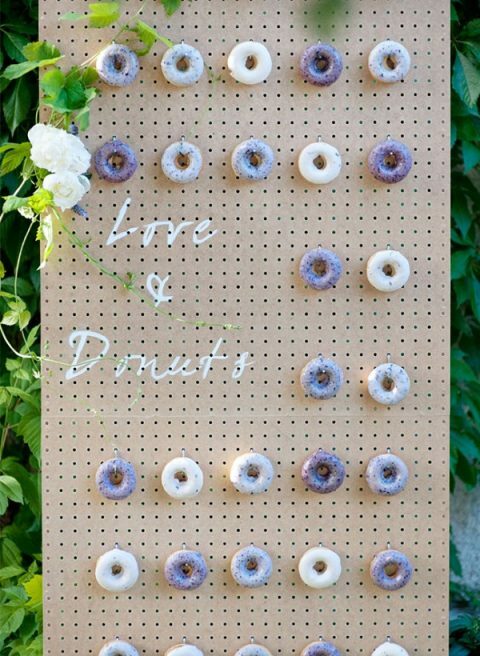 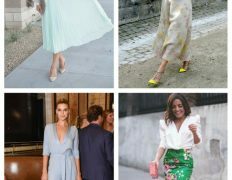 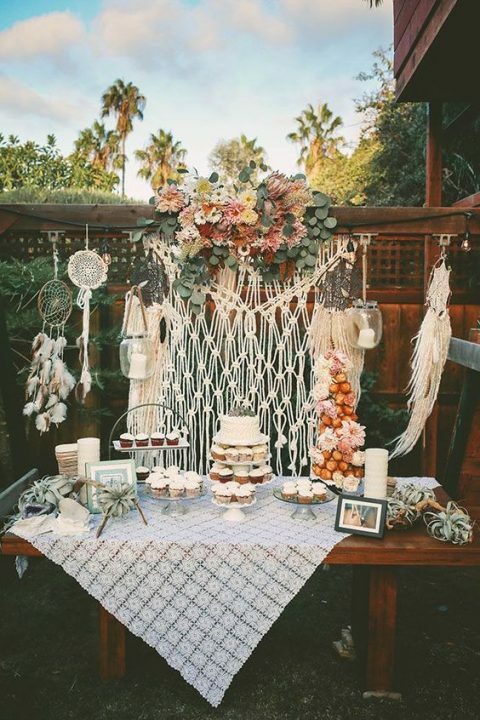 Don’t feel limited to the wedding colors—this is a totally different party with a totally different personality. 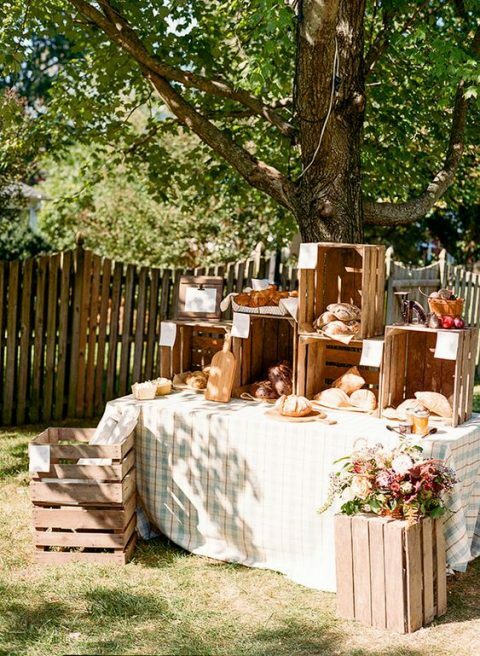 A backyard shower most likely has a casual vibe, so serving food buffet style will feel right. 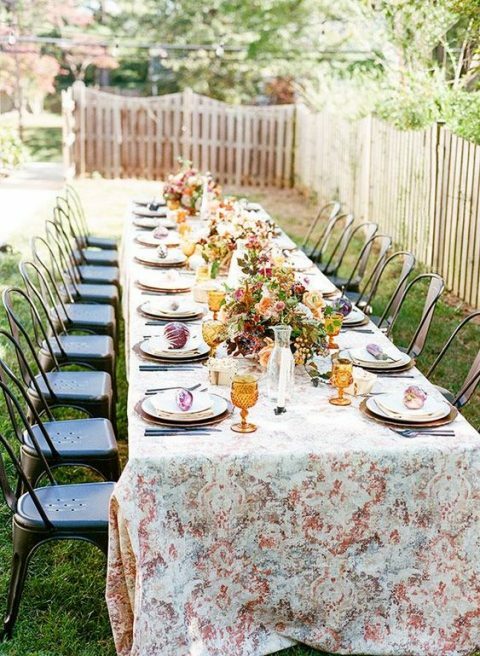 To avoid one long line, set up each side of the table with identical dishes to speed things up. 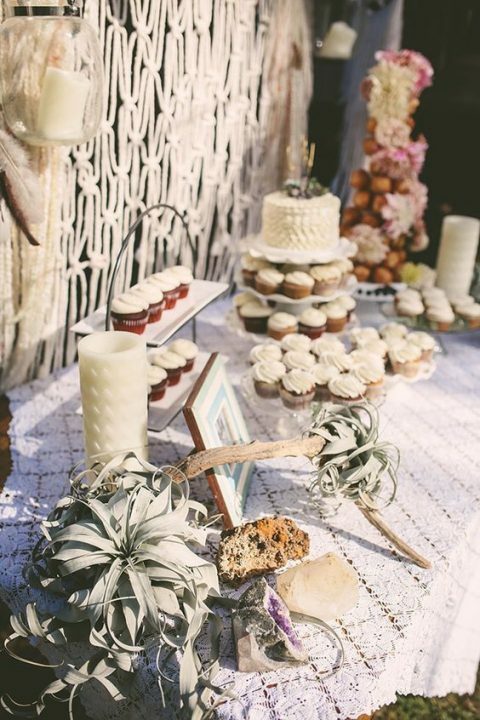 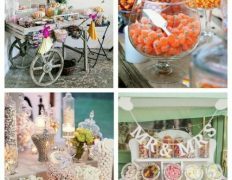 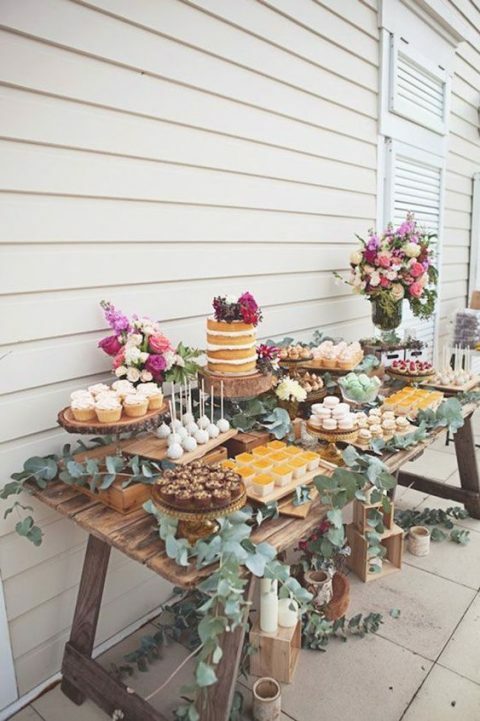 Don’t forget of a cool dessert table with proper decor and delicious sweets.